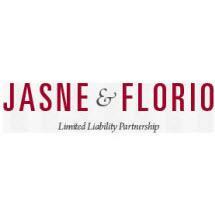 Jasne & Florio, LLP ("J&F") is a civil and criminal litigation law firm, engaging extensively in the areas of commercial debt and judgment enforcement, criminal law, personal injury and appeals. We actively practice before the trial and appellate courts in both the Federal and New York State Courts, and represent clients in adversarial proceedings in the United States Bankruptcy Court. We offer flexible evening and weekend appointments to accommodate your schedule. J&F believes in the team approach to litigation. Consequently, while every matter is assigned a partner-in-charge, the entire resources of the firm are utilized in achieving a successful outcome. Our distinguished team of attorneys includes two former prosecutors, a former Principal Law Clerk to several New York State Court judges and an experienced business owner. In addition to our friendly and bi-lingual (Spanish language) support staff, we employ a Certified Public Accountant who is experienced in forensic accounting, and utilize computerized database and management systems as well as experienced cyber and field investigators to investigate claims and defend our clients. We also rely upon a large database of experts readily available to assist in any project. The firm maintains its office in White Plains, New York. The full complement of two partner attorneys, two support attorneys and our support staff makes us small enough to serve your legal needs with the personal level of attention that you deserve, yet large enough and experienced enough to serve you on your schedule, in a knowledgeable, cost effective and efficient manner.